ACT-American college test is a standardized test for high school students for getting into college admissions in USA. The ACT is a standardized test that admission officers use to compare applicants from different schools and different states. The test comprises four subjects: English, Math, Reading and Science. The ACT with Writing includes an additional 40-minutes writing test. ACT scores are acceptable by all the colleges in the US for Undergraduate admissions. 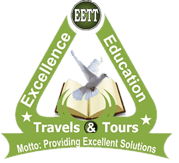 At EETT we provide excellent ACT Training to aspiring students to ensure that they have a solid performance at the test. The duration of the ACT is 2 hours 55 minutes without the essay, and 3hours 35minutes with the essay. A short break is provided after the second test. The second break is after the fourth test and, of course, applicable only if you are taking optional Writing test. The ACT provides four answer choices to questions in the English, Reading, and Science tests but five answer choices to questions in the Math test. The ACT has a unique feature in which the odd-numbered questions have answer choices labeled A through D or E, whereas the even-numbered questions have answer choice labeled F through J or K with the exclusion of I. Each correct answer on the ACT gets you a raw point, and there is no penalty for wrong answers. A scale score ranging from 1-36 is computed for each test on the basis of the raw score secured in that test. The ACT also provides a STEM score and seven different sub-scores. The English test consists of five passages with 15 questions per passage. Most of the questions ask you to select the answer that is most appropriate in grammar and style or the one that is most consistent with the tone of the passage. Six elements of effective writing are tested in the English test, that fall under two categories. Approximately 14 pre-algebra based, 10 Elementary algebra-based, 9 intermediate algebra-based, 9 coordinate geometry-based, 14 plane geometry-based, and 4 trigonometry based question comprise the math test. While the questions are arranged in a ‘general order of difficulty-easy, medium, and hardly you may see a few hard questions in the first 20 questions conversely, you may also find a few easy question among the last 20 question’. Four passages belonging to for genres prose fiction, social sciences, humanities and natural sciences comprise the Reading test. A Passage always follows this order and each passage is followed by 10 questions. This gives the test taker the advantage of working on those passages belonging to the genres he is most comfortable with first, and save the harder ones at the end. The ACT science test does not test any ‘Science’ based knowledge; rather it is a test of reading and Reasoning based on science-related passages. In this test you will see about 2-3 Charts and Graphs passages, about 2-3 science experiment passages, and 1 or 2 fighting scientists passages-the number of questions ranged from 5 to 7. The writing test is optional and needs to be taken if the essay score is required by the college you are applying to. Most of the time the essay task asks you to take a position on an issue presented before you. The essay task asks for your views on an issue in the context of the three given perspectives presented on the issue. 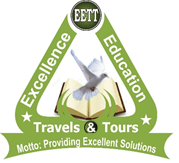 If you are considering the best ACT classes/trainings in Nigeria, you should know that Excellence Education Trainings and Tours (EETT) specialize in highly personalized, 1-to-1 tutoring or general class. The coaching schedules are structured and methodical. Every student begins with a Diagnostic test that enables our tutors to understand the current level of performance on the ACT. Thereafter, coaching begins in Mathematics, Science, and English. In addition to group teaching and personalized tutoring classes, students are mentored and motivated by their study coach. Timing for practice tests, feedback sessions and additional help are kept flexible, in view of the demanding schedule of each student. 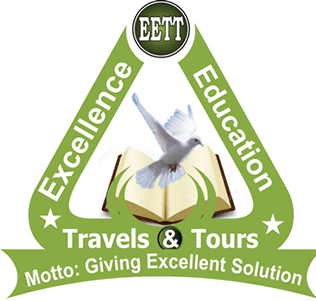 We have been known as the best ACT training centre in Nigeria because we provide extensive training that guarantees good results. Visit us today and meet one-on-one with our ACT experts.